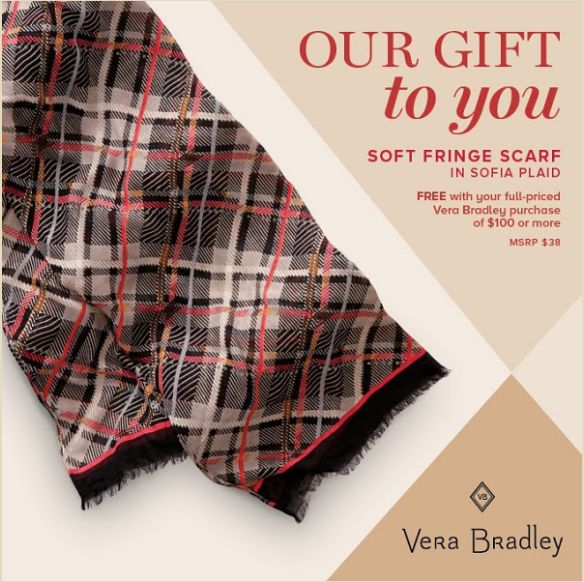 Vera Bradley FREE Soft Fringe Scarf Offer! Receive a free Vera Bradley Soft Fringe Scarf in Sofia Plaid ($38 value) with your full-priced Vera Bradley purchase of $100 or more! While supplies last. Vera Bradley is one of Oprah’s Favorite Things!